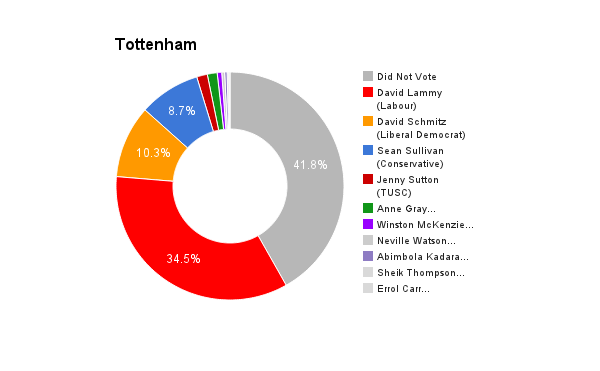 Tottenham is a Greater London constituency. The seat was created in 1950. The current member of parliament is the Labour Party’s David Lammy who has represented the constituents since a by-election in 2000. I have spent most of my working life helping others to be heard, initially as a journalist for national and international news organisations, including the Guardian, Observer, US National Public Radio, Time Magazine and the BBC World Service. I reported on the overthrow of the communist regime in Bulgaria and the oppression of the country’s persecuted Turkish minority. I launched Red Pepper magazine and worked for Channel 4 Television, before moving to the charity sector where I held senior roles in the UN children’s fund Unicef, Amnesty International and Oxfam, among others. After four years at University of the Arts London, I left in 2014 to set up a free arts and humanities university for young Londoners who can’t afford education fees. I am proud to be associated with the Green Party’s ‘For the Common Good’ agenda. The Green Party would protect the environment, support our communities and create jobs through green energy programmes, recycling, building social housing, improving care provision, producing food sustainably, supporting the arts and music and, of course, bringing back the NHS as a properly-funded wholly public service. The Greens are the only party that is committed to creating a sustainable future for all Tottenham’s people. There is much that is wrong with the agenda of the major parties in UK politics today; as a Green candidate, I am committed to challenging the ‘business as usual’ agenda of the Conservatives, Liberal Democrats and Labour. There are vitally important issues where we need to stand up for the public interest and against the policy agenda of the big corporations and the politicians who do their bidding. We can create a greener and more participative democracy, to give voters a real alternative to express their desire for change. 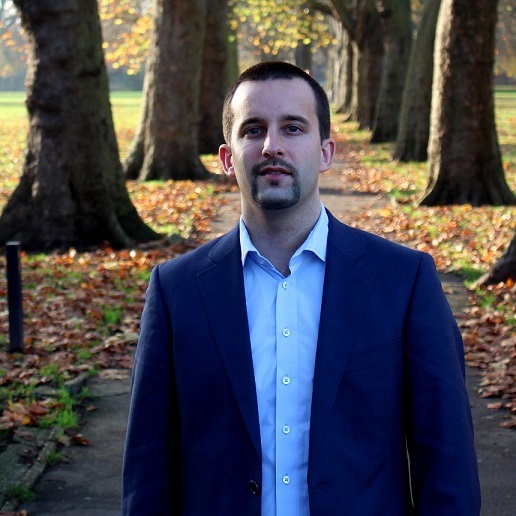 I would have regular Saturday ‘surgeries’ or call-in sessions every two weeks in the constituency, alternating between Green Lanes, West Green, South Tottenham and North Tottenham, and would be open to public engagements at other times. 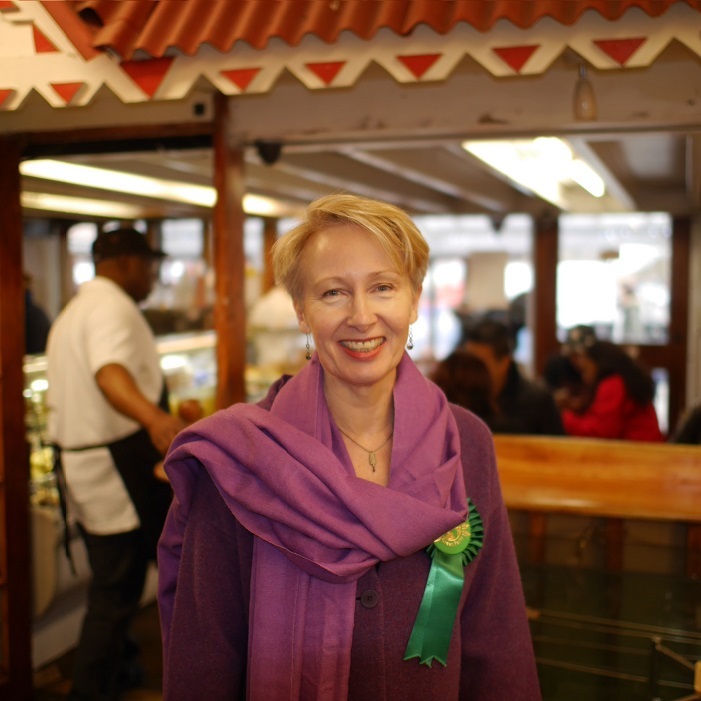 I would engage in online Q&As with constituents through social media and dedicated part of Haringey Green Party website and would publish monthly reports of my activities. I would spend as much time as possible listening to and connecting Tottenham’s diverse range of community organisations and businesses to help build mutual support and success. I believe strongly that Tottenham’s diverse communities have the solutions to many of today’s big challenges, however too often our voice is not heard and unfair solutions are imposed from Westminster or Haringey Council. My experience as a journalist and senior campaigner for human rights and social justice has given me the ability to speak to those in power without fear on behalf of others. If elected, I would ensure the people of Tottenham have a strong voice to ensure we get the public investment and decent local jobs we deserve. David Lammy achieved extraordinary success in being elected to Parliament at the young age of 27 in a safe Labour seat but he doesn’t seem to have used his position to benefit the people of Tottenham. He is a supporter of former Prime Minister Tony Blair. He voted for the Gulf War and opposed an inquiry into events leading up to the invasion of Iraq; he favours the renewal of Britain’s Trident nuclear missile programme and, as Minister for Higher Education, he oversaw the introduction of the first round of tuition fees. Austerity is not working, which is borne out by many voices, from Nobel prize winning economists to the Institute for Fiscal Studies, as well as workers on zero hour contracts and frozen pay. It is an ideologically driven policy to privatise state assets, transfer resources from those on lower incomes to the wealthy, and reduce the value of commonly held services. It has not worked on its own terms, as history shows that national debts have to be amortised – re-defined and re-negotiated – for society to benefit. Most of all, it is unjust because it is making the poor pay the debts of the banks and big business. Legal migration is a vital human freedom. The NHS and many fundamental services, the development of the UK’s business sector and our cultural life have benefitted from new arrivals. We also have a duty to those fleeing war, poverty and the impact of climate change. However, we need a balanced migration policy which means for now we reject both an open borders approach and the imposition of an arbitrary numerical cap on net migration. The coalition government and Labour before them have created an increasingly unequal economy with growing numbers of people on low-paid, insecure jobs. The Green Party would address the cost of living crisis through investment in public infrastructure and services, and a Green New Deal, which will create rewarding jobs at a living wage of at least £10 per hour by 2020 in areas such as renewable power generation and home insulation. We would also reduce housing costs by building 500,000 homes for social rent and enforcing rent controls and secure 5-year tenancies in the private sector. The NHS is the jewel in the UK’s crown and the envy of most countries around the world. Healthcare is not a commodity to be bought or sold. The NHS must provide healthcare, free at the point of need, funded through taxation as a public service funded by, run by, and accountable to local and national government and devoid of all privatisation. The Green Party would repeal the 2012 Health and Social Care Act, and introduce an NHS Reinstatement Bill to restore the obligation upon the Government to provide a comprehensive health service, abolish competition and market-based commissioning, and re-establish public accountability of the NHS. Apprenticeships need to be much more widely available and have guaranteed job entry to follow. Cuts in further education need to be completely reversed so that life skills, digital training, vocational skills, life-long learning and re-training for work are seen as basic rights. The Education Maintenance Allowance should be restored. The Green Party would introduce a system of incentives to small and medium enterprises, including business rate exemption periods and a good employer mark, and revitalise our public services to create many more rewarding, local jobs. Yes. Membership of Parliament has become increasingly skewed towards professional politicians who have studied a narrow range of subjects at elite universities. There are insufficient women and people from minority ethnic communities and disadvantaged groups. The Green Party believes in gender equality and promoting a more diverse representation through positive action to include people who are under-represented. We would introduce fundamental reform to make our electoral and parliamentary system more accountable and democratic. I would argue strongly for YES to Europe vote. The EU Commission and the structure of the EU need fundamental reform; they both favour corporate interests at the expense of ordinary people. Britain can only play a constructive role in that reform if we are fully engaged, not constantly threatening to take our ball away. London Green MEP, Jean Lambert, has been exemplary in joining with other Greens and progressive interests in the European Parliament to push for measures to improve environmental and social programmes, limit corporate power and expose the dangers inherent in measures such as the TTIP treaty being negotiated in secret between the US and EU to corporations power over states. People often start by asking about my surname. It comes from my Polish grandfather who arrived in Scotland in 1943. He came as a refugee with nothing more than the clothes in which he stood, and no English. The rest of my extended family come from working class areas in Scotland. My parents moved south of the border after getting married and I was brought up in Hampshire. After attending local state comprehensive schools I moved to London to study at the LSE, from which I graduated with First Class honours. I then spent a year at Cambridge studying for a Master’s degree in International Relations, graduating with Double Distinction. Since leaving university I have worked as a business lawyer, advising clients on deals typically worth hundreds of millions of pounds. I serve as the Chair of Governors at a primary school in North-East London, act as a mentor for high performing students in inner-London schools, and have helped to organise and taken part in various charitable initiatives, including a project to assist survivors of the Rwandan genocide and a legal project in Sierra Leone.